Fiduciary Standard: A fiduciary duty is the highest standard of care. It places the needs of the client above one’s own needs, and the fiduciary is bound legally and ethically to always act in the client’s best interest. Divergent Private Wealth Advisors was founded on the idea that the Fiduciary Standard should be exactly that – the industry standard for the care and safe-keeping of our clients’ dreams, plans, and assets by advisory professionals. We leverage the latest in technology, research and analytics to custom build our financial plans and investment portfolios. Our deep planning process will help you discern and quantify your life goals, bringing clarity and focus to the plan for achieving them. Our proprietary portfolio models are designed to help you get there efficiently and cost-effectively, while mitigating risk along the way. Divergent Thinking. Dynamic Planning. Diligent Investing. Divergent Private Wealth Advisors was built upon these core beliefs, through which we help our clients achieve their life’s goals. 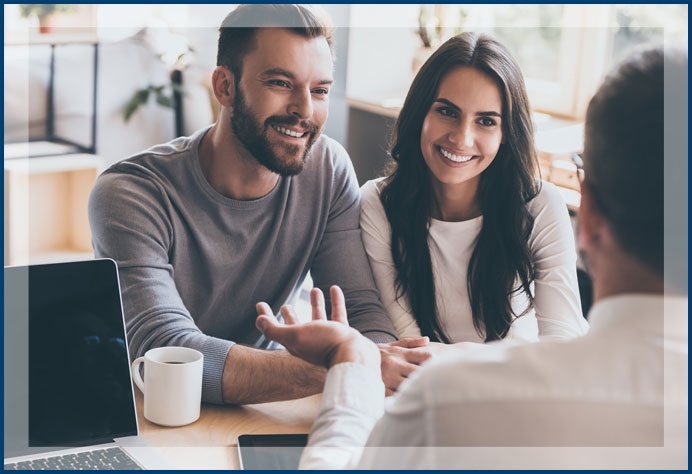 We are a fully independent, registered investment advisor and our core competencies in comprehensive financial planning and investment management create the foundation for a life-long partnership to help you live your dreams. Have you worked with a financial planner or financial advisor before? Then perhaps it’s time to experience a different way to plan – with thought-provoking strategies that are divergent from the norm, planning capabilities that are dynamic and pivot as your life changes, and investment processes that are diligently focused on long-term growth and risk mitigation. Contact Us Today and Start Planning for Tomorrow! A locally owned business in Columbia, MD, Divergent Private Wealth Advisors is committed to providing professional planning and investment services. Make us your financial advisor today! Reach out to us for a complimentary and confidential consultation. All written content on this site is for information purposes only. Opinions expressed herein are solely those of Divergent Private Wealth Advisors, LLC and our editorial staff. Material presented is believed to be from reliable sources; however, we make no representations as to its accuracy or completeness. All information and ideas should be discussed in detail with your individual adviser prior to implementation. Advisory services are offered by Divergent Private Wealth Advisors, LLC, a Registered Investment Advisor in the State of Maryland. Insurance products and services are offered by Sean McComber, sole proprietor, an affiliated business entity. The presence of this web site shall in no way be construed or interpreted as a solicitation to sell or offer to sell advisory services to any residents of any State other than the State of Maryland or where otherwise legally permitted. Divergent Private Wealth Advisors, LLC and Sean McComber, sole proprietor, are not affiliated with or endorsed by the Social Security Administration or any government agency, and are not engaged in the practice of law. When you follow a link to one of these sites neither Divergent Private Wealth Advisors, LLC, nor any agency, officer, or employee of Divergent Private Wealth Advisors, LLC warrants the accuracy, reliability or timeliness of any information published by these external sites, nor endorses any content, viewpoints, products, or services linked from these systems, and cannot be held liable for any losses caused by reliance on the accuracy, reliability or timeliness of their information. Portions of such information may be incorrect or not current. Any person or entity that relies on any information obtained from these systems does so at her or his own risk.